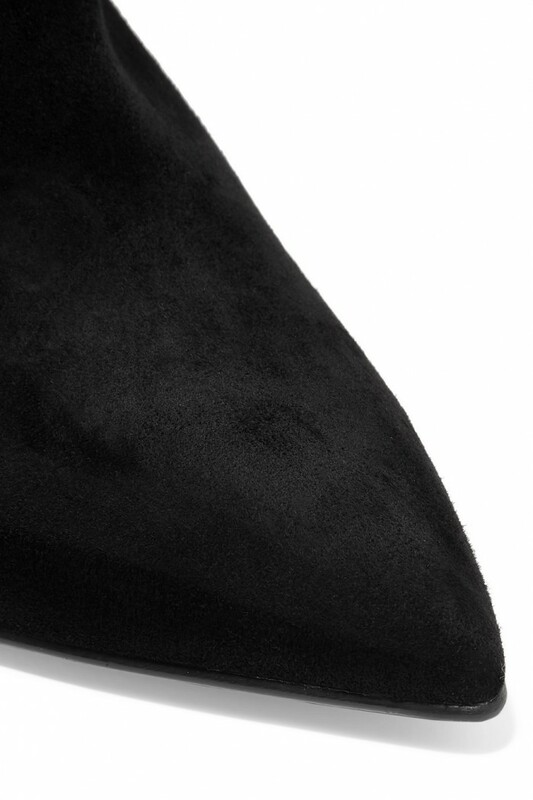 Expertly crafted in Italy from supple black suede, Gianvito Rossi’s ankle boots are perfect for day or night. 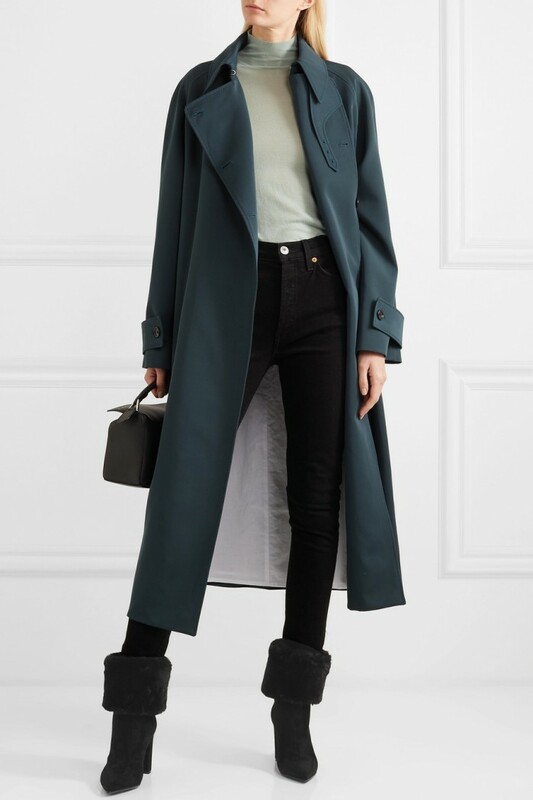 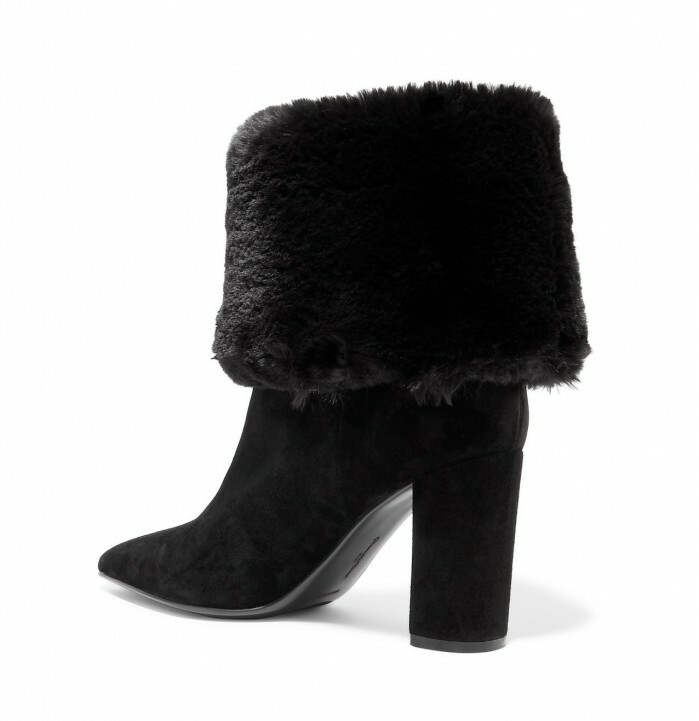 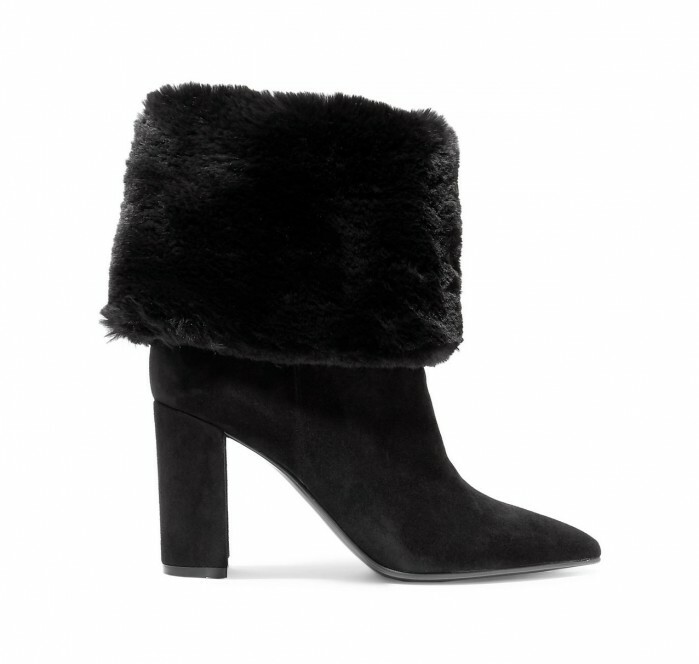 Set on a sturdy 85mm block heel, this pair has a sleek pointed toe and are partially lined in fluffy faux fur – fold the cuffs down to show it off. 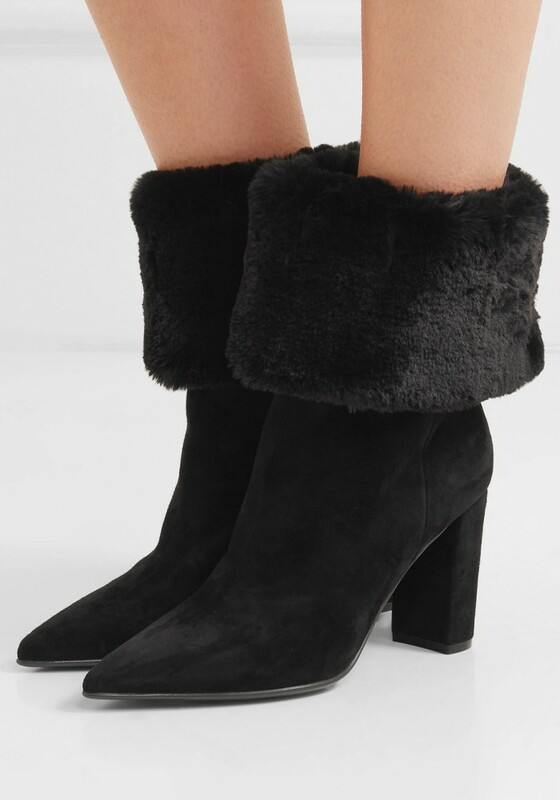 They’ll look chic styled with skinny jeans and midi skirts alike.